These are the three photos I like the best from my three day X-mas in Akha country. 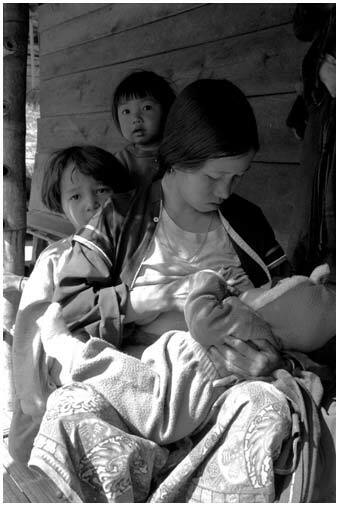 Above, this woman is breast feeding her child while her other children watch me. She asked me to take her photo and give her a copy, and I obliged--and in the process, got a great shot. 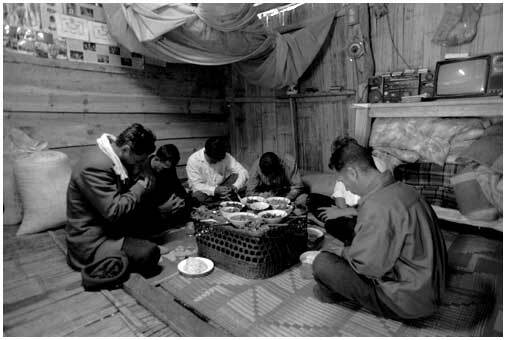 Below, in a room that is directly behind the woman above, these men are sitting down to a X-mas eve dinner, preparing by praying. They invited me to come and eat with them, and this was my first experience with the rice cake haw-nyaw. 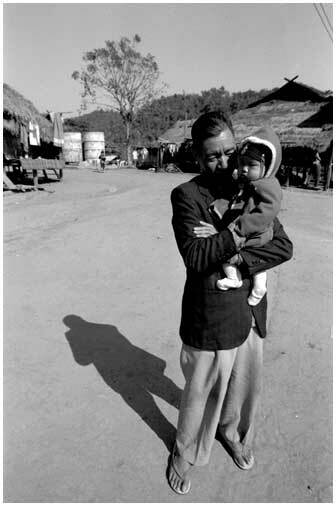 Below, this man is holding his grandchild in the late afternoon sun, giving me a great shadow that adds depth to this photo.